Whether you are still in treatment or have been cancer free for years, take some time on June 4th to celebrate National Cancer Survivor day. There are more than 15.5 million children and adults that have survived cancer. By 2026, it is estimated by the American Cancer Society that this number will increase to 20.3 million; almost 10 million males and 10.3 million females. The treatment for cancer can vary for individuals however, this can be a very physically and mentally draining process for everyone involved. To see more cancer survivor facts or information go to www.cancer.org. 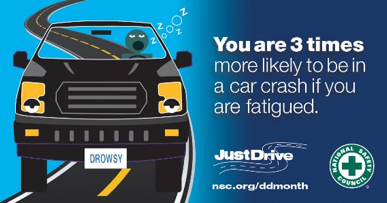 Distracted driving can come in many forms – texting, talking on the phone, listening to music, being tired, taking a picture, sending an e-mail, using an App, or even talking to a passenger ALL while driving. Because technology continues to advance, the rate of distracted driving goes up. Thousands die every year due to distracted driving and it can be 100% prevented. The National Safety Council reports that cell phone use while driving leads to 1.6 million crashes each year or 1 out of 4 car accidents. 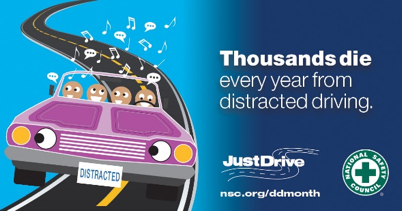 Pledge to drive cell free and share the distracted driving message with those around you. 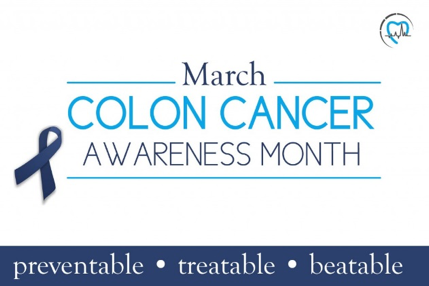 Colorectal cancer is the third most common cancer diagnosed for both men and women in the United States. The American Cancer Society estimates that there will be over 95,000 new cases of colon cancer and almost 40,000 cases of rectal cancer in 2017. The risk for developing colorectal cancer is 1 in 21 for men and 1 in 23 for women. The rate of colorectal cancer has been steadily declining for both men and women due to the amount of screenings being done. Screenings detect any colorectal polyps that are present and are removed if necessary before they become cancerous. As a result of more frequent and advanced screenings, there are now more than one millions survivors of colorectal cancer in the United States! The risk for developing colorectal cancer increases with age. More than 90% of colorectal cancer occurs in people aged 50 and older. The type and frequency of screenings can be different for everyone so consult your doctor about what is right for you. 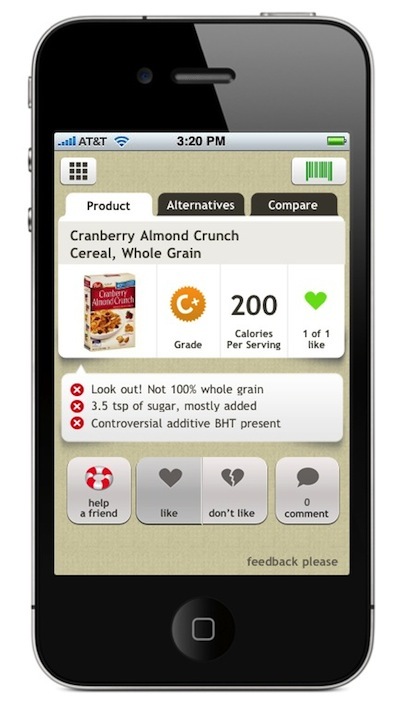 Fooducate is a food coach that goes way beyond a simple calorie counter. Achieve your weight loss, health, and fitness goals by learning to eat REAL food. Did you know that up to 70% of packaged foods on our supermarket shelves contain genetically modified (GM) ingredients? The True Food Shoppers Guide gives you valuable information on common GM ingredients, brands to look for—and look out for—and common sense tips to keep you in the know and help you find and avoid GM ingredients wherever you shop. Please feel free to contact me with suggestions, questions, comments or to have me come to your district to initiate a Wellness Challenge. I love to see people healthy and happy! 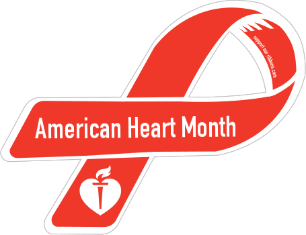 Heart disease is the leading cause of death for men and women in the United States. The good news is that 80% of heart disease can be prevented when people make healthy choices and manage their health. Read below about healthy strategies that can help prevent heart disease. Monitor Your Blood Pressure. Keep your blood pressure below 120/80 mm Hg. Get Active. The American Heart Association recommends 150 minutes of moderate intensity activity, 75 minutes of vigorous activity, or 10,000 steps/day to maintain a healthy heart. Eat Heart Healthy. Eat a diet of fruits, vegetables, whole grains and healthy fats such as fish, avocado, and nuts. Limit sodium intake to 2,300mg/day or 1,500mg/day if you are at risk for a heart condition. Limit saturated fats and avoid trans fats as well as added sugars. Maintain a Healthy Weight. Target a body mass index (BMI) of less than 25 or make sure that your muscle to fat ratio is within a healthy range. Live Smoke Free. Smoking can put you at risk for cardiovascular disease. 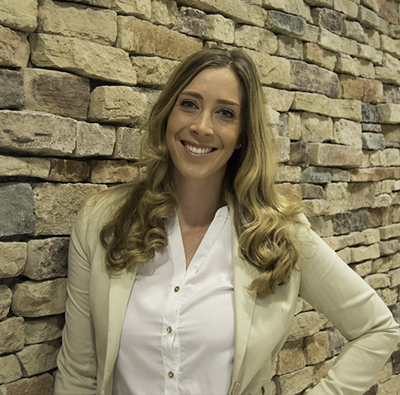 Contact ASHLine today for help quitting. Watch Your Cholesterol. Keep your daily cholesterol under 200mg/dL per day and cut out Trans fats. You can find cholesterol in meat, cheese, and eggs. Control Your Blood Sugar. Aim for a fasting blood glucose of less than 100mg/dL per day.